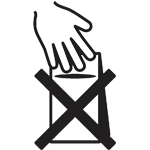 Totally Virgin - I'm natural, Baby. 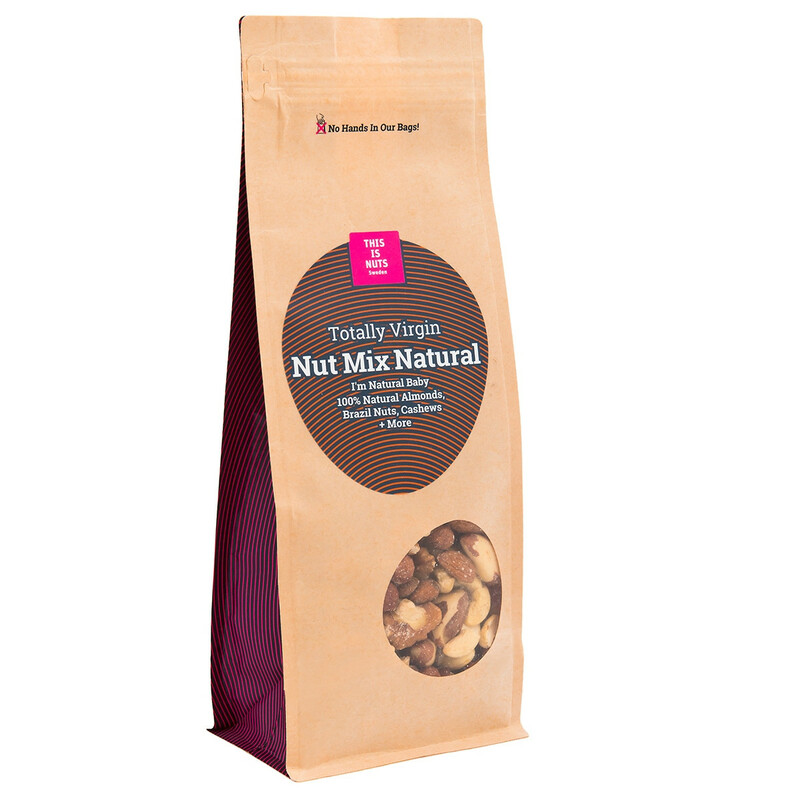 100% natural almonds, Brazil nuts and walnuts. 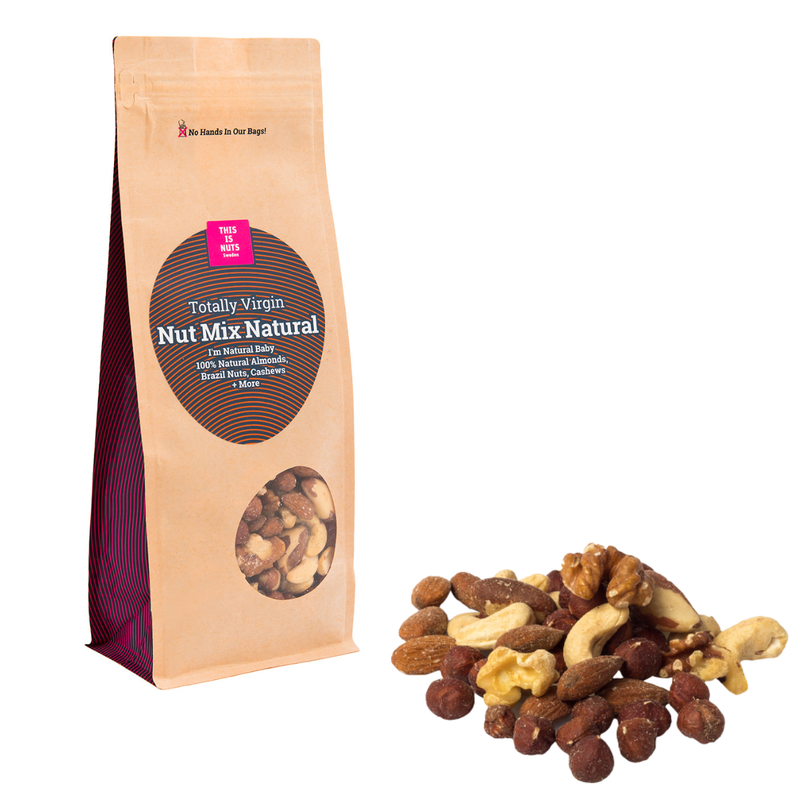 Creamy cashews mixed with exotic Brazil nuts, crunchy walnuts, rich hazelnuts and almonds. 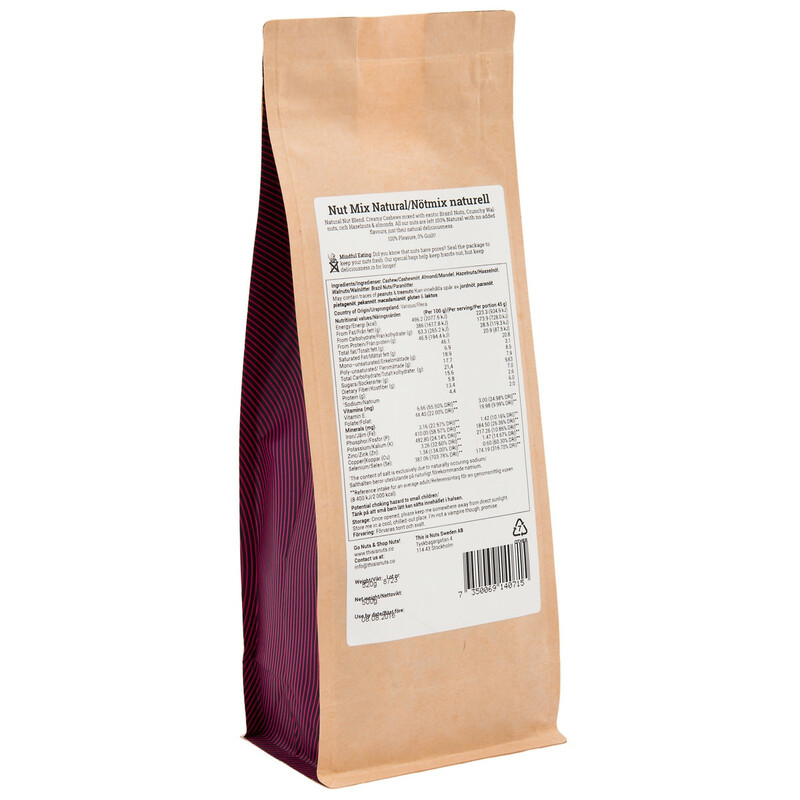 Completely natural nut blend with no added flavours, just Mother Nature's own deliciousness. 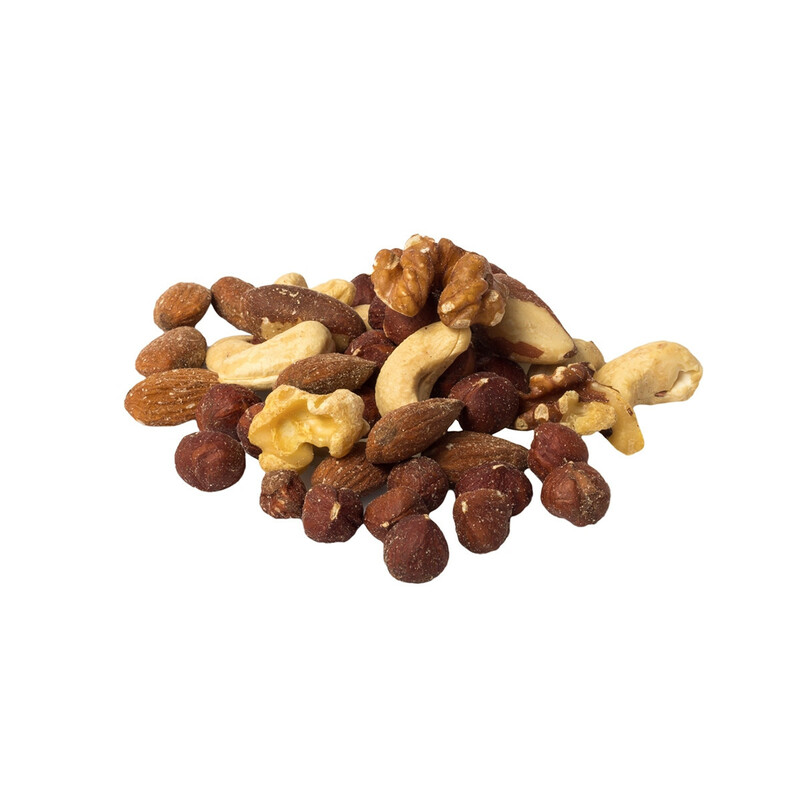 Our nuts are of the highest quality, always from the first selection, and roasted and packaged in Sweden.